Refractory Materials for Sale. 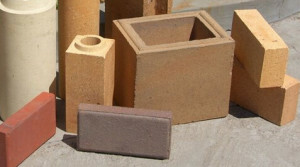 Refractory Material Suppliers‎. Order now! BariteWorld.com / Division Of Rockleigh Industries Inc. offers high quality raw materials to the Refractory industry. Refractory materials include: Magnesite, Chromite, Olivine, Zircon, Spodumene. Iron chromite sand application usage for shaped refractory products like Mag-chrome bricks combining chrome sand with magnesite. Have excellent thermal shock resistance. Mag-chrome bricks are used to line ladles and furnaces. Spodumene – cost effective source of lithium as a raw material for the refractory industry. It used in application of lubricant and fluxing agent. Burned Magnesite (MgO) is used in tundish and gunning masses and molten steel, slag conditioner and furnace linings. We have a wide range of grades MgO. Bariteworld supplies top quality grades zircon sand and flour. chemically inert, and/or have specific ranges of thermal conductivity and of the coefficient of thermal expansion. The oxides of aluminum (alumina), silicon (silica) and magnesium (magnesia) are the most important materials used in the manufacturing of refractories. Another oxide usually found in refractories is the oxide of calcium (lime). Fire clays are also widely used in the manufacture of refractories. Refractories must be chosen according to the conditions they will face. Some applications require special refractory materials. Zirconia is used when the material must withstand extremely high temperatures. Silicon carbide and carbon (graphite) are two other refractory materials used in some very severe temperature conditions, but they cannot be used in contact with oxygen, as they will oxidize and burn. Acidic refractories consist of mostly acidic materials like alumina (Al2O3) and silica (SiO2). They are generally not attacked or affected by acidic materials, but easily affected by basic materials. They include substances such as silica, alumina, and fire clay brick refractories. Notable reagents that can attack both alumina and silica are hydrofluoric acid, phosphoric acid, and fluorinated gases (e.g. HF, F2). At high temperatures, acidic refractories may also react with limes and basic oxides. These are used in areas where slags and atmosphere are either acidic or basic and are chemically stable to both acids and bases. The main raw materials belong to, but are not confined to, the R2O3 group. The common examples of these materials are alumina (Al2O3), chromia (Cr2O3) and carbon. These are used on areas where slags and atmosphere are basic; they are stable to alkaline materials but could react with acids. The main raw materials belong to the RO group to which magnesia (MgO) is a very common example. Other examples include dolomite and chrome-magnesia. For the first half of the twentieth century, the steel making process used artificial periclase (roasted magnesite) as a lining material for the furnace. A complete range of cost effective, easy to install products that offer high mechanical strength and refractoriness. An assortment of moisture containing refractories installed by conventional wet ramming techniques. A complete range of engineered, precast prefired shapes manufactured with Allied’s refractory materials. Fine grained, alumina and silica based refractory mortars for bonding alumina brick. Available with either heat set or air set bonding systems. The highest quality moisture-free refractories available in the industry. High density, refractory mixes that provide easy and fast installation. Phosphate bonded, alumina based plastics and plasters available in various chemical compositions.